Biochemist, Data Steward, Research Software Engineer with experience in both fundamental theoretical research: metabolic regulation analysis, control analysis, constraint based modelling and software design and development. I am actively involved in the development of open community standards in Systems Biology. biochemistry, modeling, metabolic control analysis, software development, Python, C++, CMAKE, SWIG, DevOps, systems biology, standards development, software interoperability, constraint-based modelling, kinetic modelling. Please contact me via email or Twitter (@Brett_Olivier). 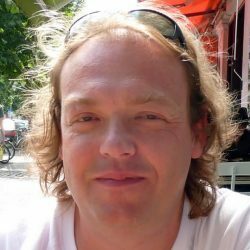 2019-01-23 presentation: “You want to store your data in … what? For how long? For how much!” at the DTL-SURF Focus meeting: Data storage beyond your project’s lifetime. See the PubMed listing at the end of this page or search Google Scholar and PubMed directly. I am actively involved in the development of standards in systems biology have served on the editorial boards of two community standards: Systems Biology Markup Language (SBML) and Simulation Experiment Description Markup Language (SED-ML). I co-coordinate the specification of the SBML Level 3 Flux Balance Constraints Package (FBC) working group and develop libSBML as part of the SBML Team. Neal, ML, König, M, Nickerson, D, Mısırlı, G, Kalbasi, R, Dräger, A et al.. Harmonizing semantic annotations for computational models in biology. Brief. Bioinformatics. 2019;20 (2):540-550. doi: 10.1093/bib/bby087. PubMed PMID:30462164 PubMed Central PMC6433895. Waltemath, D, Bergmann, FT, Chaouiya, C, Czauderna, T, Gleeson, P, Goble, C et al.. Correction to: Meeting report from the fourth meeting of the Computational Modeling in Biology Network (COMBINE). Stand Genomic Sci. 2018;13 :17. doi: 10.1186/s40793-018-0320-4. PubMed PMID:30117501 PubMed Central PMC6083578. Bergmann, FT, Cooper, J, König, M, Moraru, I, Nickerson, D, Le Novère, N et al.. Simulation Experiment Description Markup Language (SED-ML) Level 1 Version 3 (L1V3). J Integr Bioinform. 2018;15 (1):. doi: 10.1515/jib-2017-0086. PubMed PMID:29550789 PubMed Central PMC6167040. Olivier, BG, Bergmann, FT. SBML Level 3 Package: Flux Balance Constraints version 2. J Integr Bioinform. 2018;15 (1):. doi: 10.1515/jib-2017-0082. PubMed PMID:29522419 PubMed Central PMC6167036. Hucka, M, Bergmann, FT, Dräger, A, Hoops, S, Keating, SM, Le Novère, N et al.. The Systems Biology Markup Language (SBML): Language Specification for Level 3 Version 2 Core. J Integr Bioinform. 2018;15 (1):. doi: 10.1515/jib-2017-0081. PubMed PMID:29522418 PubMed Central PMC6167032. Branco Dos Santos, F, Olivier, BG, Boele, J, Smessaert, V, De Rop, P, Krumpochova, P et al.. Probing the Genome-Scale Metabolic Landscape of Bordetella pertussis, the Causative Agent of Whooping Cough. Appl. Environ. Microbiol. 2017;83 (21):. doi: 10.1128/AEM.01528-17. PubMed PMID:28842544 PubMed Central PMC5648915. Hanemaaijer, M, Olivier, BG, Röling, WF, Bruggeman, FJ, Teusink, B. Model-based quantification of metabolic interactions from dynamic microbial-community data. PLoS ONE. 2017;12 (3):e0173183. doi: 10.1371/journal.pone.0173183. PubMed PMID:28278266 PubMed Central PMC5344373. Artaza, H, Chue Hong, N, Corpas, M, Corpuz, A, Hooft, R, Jimenez, RC et al.. Top 10 metrics for life science software good practices. F1000Res. 2016;5 :. doi: 10.12688/f1000research.9206.1. PubMed PMID:27635232 PubMed Central PMC5007752. Levering, J, Fiedler, T, Sieg, A, van Grinsven, KW, Hering, S, Veith, N et al.. Genome-scale reconstruction of the Streptococcus pyogenes M49 metabolic network reveals growth requirements and indicates potential drug targets. J. Biotechnol. 2016;232 :25-37. doi: 10.1016/j.jbiotec.2016.01.035. PubMed PMID:26970054 . Gottstein, W, Olivier, BG, Bruggeman, FJ, Teusink, B. Constraint-based stoichiometric modelling from single organisms to microbial communities. J R Soc Interface. 2016;13 (124):. doi: 10.1098/rsif.2016.0627. PubMed PMID:28334697 PubMed Central PMC5134014. Olivier, BG, Swat, MJ, Moné, MJ. Modeling and Simulation Tools: From Systems Biology to Systems Medicine. Methods Mol. Biol. 2016;1386 :441-63. doi: 10.1007/978-1-4939-3283-2_19. PubMed PMID:26677194 . Hucka, M, Bergmann, FT, Dräger, A, Hoops, S, Keating, SM, Le Novère, N et al.. Systems Biology Markup Language (SBML) Level 2 Version 5: Structures and Facilities for Model Definitions. J Integr Bioinform. 2015;12 (2):271. doi: 10.2390/biecoll-jib-2015-271. PubMed PMID:26528569 PubMed Central PMC5457286. Olivier, BG, Bergmann, FT. The Systems Biology Markup Language (SBML) Level 3 Package: Flux Balance Constraints. J Integr Bioinform. 2015;12 (2):269. doi: 10.2390/biecoll-jib-2015-269. PubMed PMID:26528567 . Hanemaaijer, M, Röling, WF, Olivier, BG, Khandelwal, RA, Teusink, B, Bruggeman, FJ et al.. Systems modeling approaches for microbial community studies: from metagenomics to inference of the community structure. Front Microbiol. 2015;6 :213. doi: 10.3389/fmicb.2015.00213. PubMed PMID:25852671 PubMed Central PMC4365725. Maarleveld, TR, Wortel, MT, Olivier, BG, Teusink, B, Bruggeman, FJ. Interplay between constraints, objectives, and optimality for genome-scale stoichiometric models. PLoS Comput. Biol. 2015;11 (4):e1004166. doi: 10.1371/journal.pcbi.1004166. PubMed PMID:25849486 PubMed Central PMC4388735. Reimers, AC, Bruggeman, FJ, Olivier, BG, Stougie, L. Fast flux module detection using matroid theory. J. Comput. Biol. 2015;22 (5):414-24. doi: 10.1089/cmb.2014.0141. PubMed PMID:25565150 . Veith, N, Solheim, M, van Grinsven, KW, Olivier, BG, Levering, J, Grosseholz, R et al.. Using a genome-scale metabolic model of Enterococcus faecalis V583 to assess amino acid uptake and its impact on central metabolism. Appl. Environ. Microbiol. 2015;81 (5):1622-33. doi: 10.1128/AEM.03279-14. PubMed PMID:25527553 PubMed Central PMC4325170. Bergmann, FT, Adams, R, Moodie, S, Cooper, J, Glont, M, Golebiewski, M et al.. COMBINE archive and OMEX format: one file to share all information to reproduce a modeling project. BMC Bioinformatics. 2014;15 :369. doi: 10.1186/s12859-014-0369-z. PubMed PMID:25494900 PubMed Central PMC4272562. Maarleveld, TR, Olivier, BG, Bruggeman, FJ. StochPy: a comprehensive, user-friendly tool for simulating stochastic biological processes. PLoS ONE. 2013;8 (11):e79345. doi: 10.1371/journal.pone.0079345. PubMed PMID:24260203 PubMed Central PMC3832486. Maarleveld, TR, Khandelwal, RA, Olivier, BG, Teusink, B, Bruggeman, FJ. Basic concepts and principles of stoichiometric modeling of metabolic networks. Biotechnol J. 2013;8 (9):997-1008. doi: 10.1002/biot.201200291. PubMed PMID:23893965 PubMed Central PMC4671265.